Apple just announced that they have sold their 3 millionth iPad yesterday only 80 days after the release of the iPad in the US. 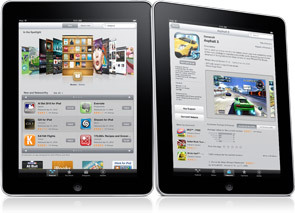 Apple Sells Three Million iPads in 80 Days. CUPERTINO, Californiaâ€”June 22, 2010â€”AppleÂ® today announced that it sold its three millionth iPadâ„¢ yesterday, just 80 days after its introduction in the US. iPad is a revolutionary and magical product that allows users to connect with their apps, content and the Internet in a more intimate, intuitive and fun way than ever before. Developers have created over 11,000 exciting new apps for iPad that take advantage of its Multi-Touchâ„¢ user interface, large screen and high-quality graphics. iPad will run almost all of the more than 225,000 apps on the App Store, including apps already purchased for your iPhoneÂ® or iPod touchÂ®. any news on the iPad from Mobily?